Brilliant lemon gold in color, shimmering lime green highlights, with one whiff the immediacy of Sea Air transports you to landscapes picturesque! Liltingly fresh & exciting on the tongue. Sanguine. Notes of chalk, minerals, limestone. Clean acidity. Ever so subtle tropical fruit such as kiwi emerges, later intimations of white peach, tangerine, nectarine and acacia flowers. Hints of honey when temp warms, meyer lemon on the edge, yet ultimately dry. Some latent distant spice underlying. Beautifully integrated fruit, not overbearingly forward! Lime zest. This may be more atypical of Falanghina, which is precisely why I love it. More presence of clean minerality. A perfect pick for this February day in the northeast, when one longs for a feel more Mediterranean! Paired perhaps with fresh grilled calamari, oysters, tapas with feta, olives, mussels or roasted fish. Enjoy clear through the summer, wherever you are. Delicious ...Treat yourself! $23/btl at Maine & Loire. Fattoria La Rivolta was established in 1997 by third generation farmer, Paolo Cotroneo and his brother Mario. 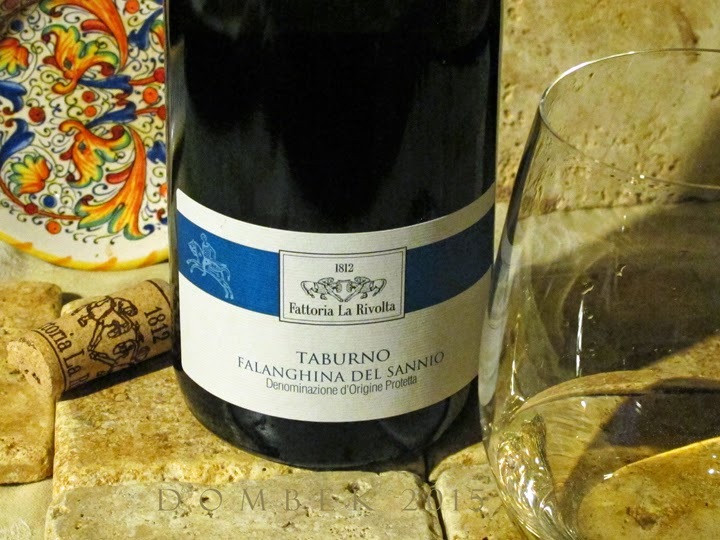 Their vineyards are located in the municipality of Torrecuso, in the province of Beneveto, in one of the smallest DOCs in the region of Campania, namely Taburno. Lands are hilly and mountainous. Soil is limestone and calcerous clay (yes, terroir does shine through!) Their vines are cultivated organically, without use of chemical treatments. Grapes are hand harvested and produce low yields. While their grandparents Giovanni and Teresa maintained and cultivated one of the largest agricultural farms in Benevento at the beginning of the twentieth century, the brothers' approach to cultivating vines and making wine marks a great turning point in their ancestry, with an organic approach. They earned certification from ICEA (Istituto per la Certificazione Etica e Ambientale) in 2001. As if that were not enough ... the wine sings! Imported by T. Edward Wines, Ltd., New York, NY and distributed in Maine by Devenish Wines, Portland. Also available at Piccolo Southern Italian Restaurant, Middle St. Portland.